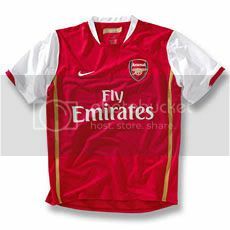 Write something here like : Arsenal Rox!!!. Man U is shyt!! Go Arsenal , beat Man U like a puny club they are!!! Who do you think will win EPL 2008-2009 Season? Which Pet do you like the best? Hi all readers!! Today I write to wish everyone a happy and auspicious new year! Being Pimary 6 is damn difficult sia , but still p6 oredy lim bei in school liao. From tcher: Mr Khan!!!! Woohoo! But then during PE will run like siao... zzz... And first day of school nid to study like siao sia... Chinese tcher: Chen Lao Shi , same as last year HAAHAHA!!! Walao , nex week nid to bring so many things ah.... zzz. School bus last time so SMALL now so BIG! Somemore got so many ppl , go back so late... When i reach home haven eat lunch yet ,oredy got tution , then must eat during tution. Tonite going hotel at Orchard , coz , 2moro Cous's Terrence birthday. Polll more ah thanks!